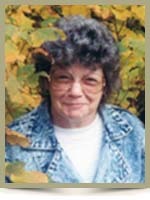 Hastings, Kathryn Janice, 68, of Liverpool, Nova Scotia, passed away on Wednesday, February 22nd, 2012, in the Halifax Infirmary, QEII Health Sciences Centre. Born in Liverpool, she was a daughter of the late Frank and Evelyn (Wharton) Leslie. Kathryn worked at the Seamone’s Bakery and the Liverpool Book Binders before taking a job at the Liverpool Metropolitan Store, working for many years up until her retirement. She enjoyed camping, fishing and being involved with the Special Olympics, where she helped run a bowling program for many years. She is survived by her loving husband Barrie; daughter Joanne (Rob) Klatt, of Victoria, British Columbia; son Leslie Cosby (Anne Wentzell), of Bridgewater; grandsons Ryan Klatt and Connor Klatt; sister Linda Leslie (Curtis Maillett), of Brooklyn. She was predeceased by a brother Roger. Barry and family, so sorry to hear of your loss. Kathryn was a beautiful person. I sure missed her this year when they retired from the CAMR bowling program. So very sorry to see of Kathy’s passing. We send our condolences to Barry and the family. Linda, so sorry to hear that you lost your sister, Kathryn. So sorry to hear about Kathryn’s passing. I ( Dianne ) worked with her when the Metropolitan Store was where Bargain Shop is now. We all had some great laughs when we had a reunion of Met workers. She will be missed. Linda and Curtis, Sorry to hear of Kathryn’s passing. Our Sincere Sympathy to you at this sad time. Dear Barry , Leslie , Joanne, Linda and families . Linda, Curtis and Kathryn’s family we send our deepest sympathy in your loss. You all are in our thoughts & prayers. So sorry to hear of your sister’s passing. My thoughts & prayers are with you all. Take care & God Bless. So very sorry to hear about Kathyrn,I worked with her at the Met for a long time.I will cherish my memories.Our Sincere Sympathy to you all. We are so sorry for your loss. Our best memory was when we had a little reception for you after your wedding and how happy and lovely Katheryn was – a nice memory for us all. I am sorry to hear of Kathryn’s passing and wish to extend my condolences to all the family members. I am so sorry to hear of Kathryn’s passing. We used to have great chats wherever me met. My deepest sympathy to all of her loved ones. Our thoughts and prayers are with Kathryn’s family at this sad time. We spent a lot of time with Kathryn for years during her first marrage. She was a wonderful person and will surely missed by so many. To Kathryn’s family so very sorry to hear of her passing!! My thoughts are with you all at this difficult time! Linda and Curtis and all of Kathryn`s family: So sorry to hear of your loss. May God comfort your hearts at this sad time. We are so very sorry to hear of Kathryn’s passing. She always had a smile whenever I would see her. Cherish the memories. We will keep you in our prayers. So sorry to hear of Kathryn’s passing,my sincere sympathy to the family. So sorry to read of Kathyn’s passing. Just remember that memories keep the one you loved close to you in spirit and thought and always in your heart, today and forever. i am so sorry to hear that kathyrn has passed..she worked at the met the same time i did..she always had a smile on her face..such a nice lady..